PokerStars is on the cusp of breaking another online poker record as it inches ever closer to the 200 billion hands mark. Since going live in 2001, PokerStars has seen millions of players take to the virtual felt each year. 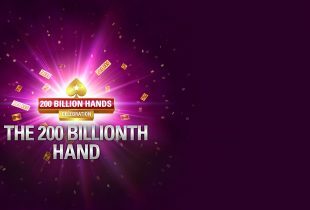 Through a combination of cash games and tournaments, the operator is now preparing to deal its 200 billionth hand. 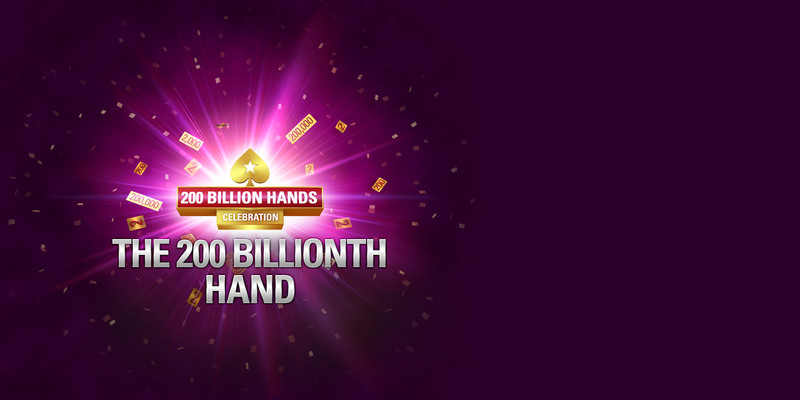 As it did in 2013 when hand number 100 billion rolled around, PokerStars is marking the occasion with a cash giveaway. This time, every player dealt into hand #200,000,000,000 will receive $10,000. On top of that, anyone that’s played at least one hand on PokerStars since 2001 can win a share of $1 million. Kicking off on April 15, the new promotion will include random ticket drops, special VIP store discounts and more. As a final flourish, players will also have the opportunity to quality for a $200,000 Mega Freeroll on May 1. Commenting, director of poker innovation and operations Severin Rasset said the approaching milestone wouldn’t be possible without the community’s support. “They’re the reason why we are here today, celebrating the game that we love. It’s our pleasure to give back to the poker community and continue to grow poker,” Rasset said in an April 15 press release. While reaching 200 billion hands is a natural result of being active for 18 years, it comes at the perfect time for PokerStars. Despite being the largest online poker site in the world, its dominance has been challenged in recent months. Partypoker now holds the record for richest online MTT in history and has pushed it rivals in multiple areas this year. Outside of the global market, PokerStars still isn’t the biggest name in India or New Jersey. Additionally, it’s now facing competition from local brands such as Winamax in the liquidity sharing regions of France, Italy and Spain. Even with pressure from its peers, PokerStars holds almost every available record in the industry. When hand 200 billion rolls around, it will be another feather in its proverbial cap. However, beyond that, it stands as testament to the enduring popularity of online poker. Although traffic levels may have dipped since the mid-noughties, operators have adapted and that’s kept the economy thriving. For PokerStars, that means another major milestone is about to be reached and another wave of added value for players.